The face price of Vishu Bumper 2016 (BR49) will be Rs.100/- only. The sale of this Kerala lottery will be started on 16.03.2016 and the draw will be conducted on 18-5-2016. A total number of 54 Lakh tickets will be printed in 6 series step by step according to the progress of the sale by time to time. The first prize will be Rs.4 Crore to 1 ticket common to all series. The second prize will be Rs. 10 Lakh and the third prize will be Rs.3 Lakh to 1 ticket in every series. 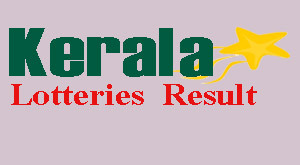 VISHU Bumper Lottery BR-49 Result of Kerala state bumper lottery Vishu Bumper BR 49 draw will be held on 18-05-2016. The VIshu Bumper BR 49 Lottery Result will be published on 18/5/2016 (18th May, 2016). VIshu Bumper 2016 (BR-49) Result details, prize structure, agents commission, Draw places etc are published.